I have had lots of fun fun over the weekend colouring with my Blends. I had forgotten how relaxing colouring can be! 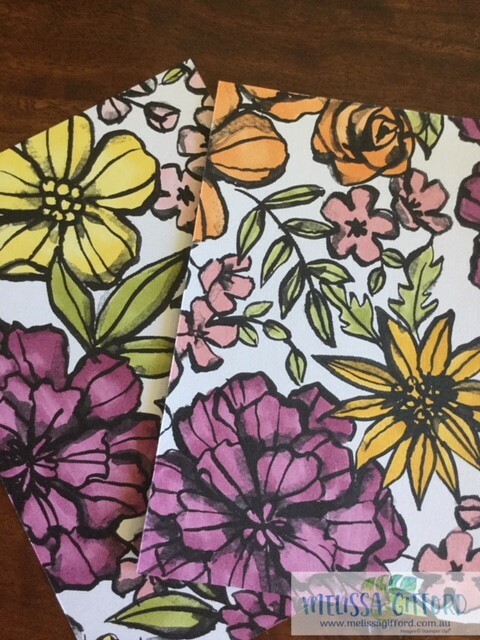 I coloured the papers from the Petal Passion pack. 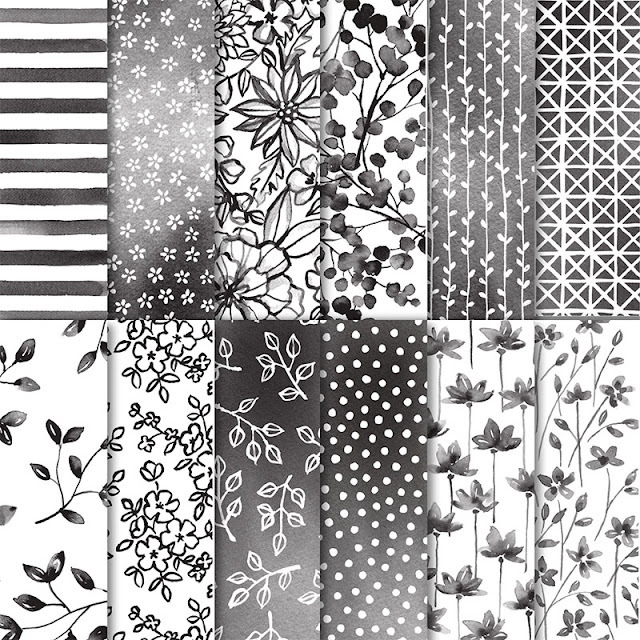 The lovely bold flowers are easy to colour and lend themselves to all sorts of bright, fun colours. 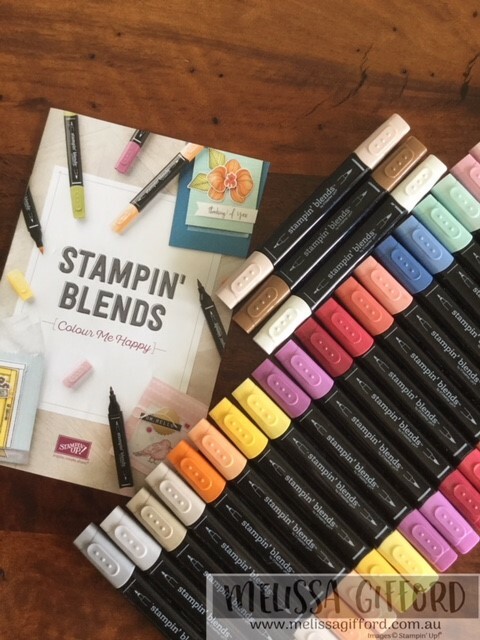 The blends come in a light and dark shade for each of the colours they are easy to blend although some of my cards I just used the one colour. 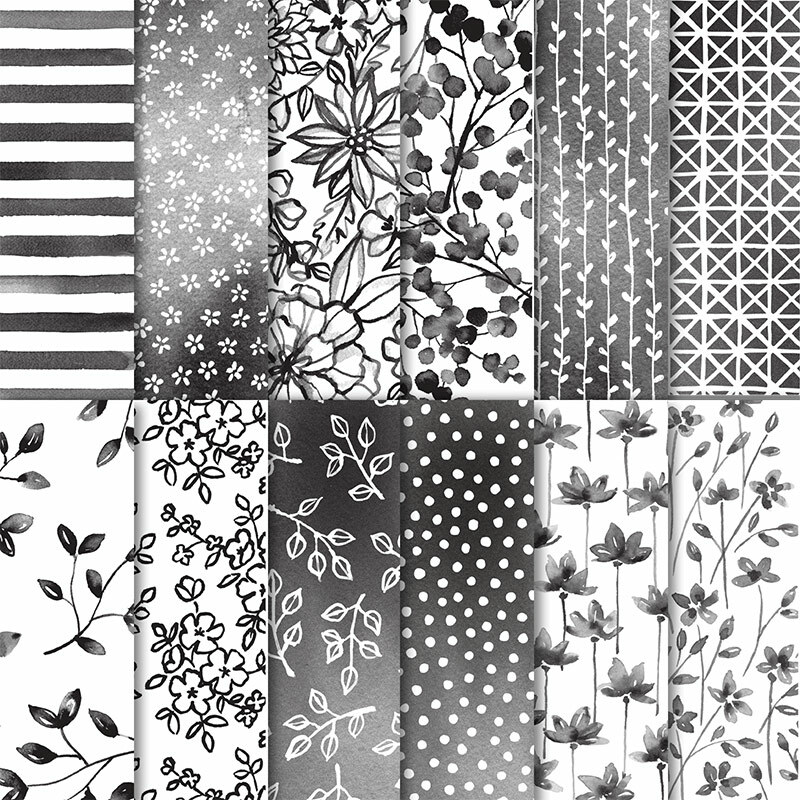 After colouring I cut the paper down to card front size to put together some cards. I was inspired by one of my team Kylie @ Stampers Workshop. She is the most amazing at colouring and blending. And while you are there check out the rest of her blog posts, she is super talented!! I knew I wanted to keep the cards simple and let the paper do the 'talking' so a simple sentiment was all I felt the cards needed. 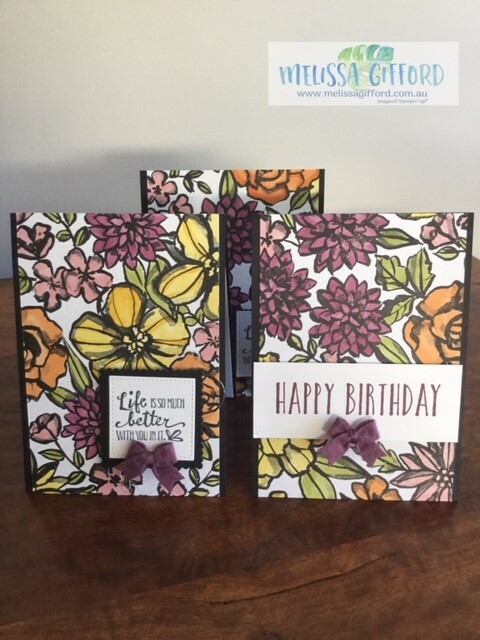 The 'life is better' sentiment comes from the Petal Passion stamp set and the Happy Birthday from Perennial Birthday. It's a little hard to see but I used the wink of stella pen to add some shimmer to the flowers. Using the black cardstock as the base for the cards really makes the colours pop. The bitty bows were a cute touch too! Why not give the blends a try yourself? You can purchase them individually or as a bundle. Click on any of the images below to head over to my store.